2007-2008 AKPer Matt Chen (Bucknell University) was invited to the office to give a guest lecture in Professor Armstrong’s translation course! Chen is currently the Localization and Translation Program Manager at Amazon in Seattle, Washington. 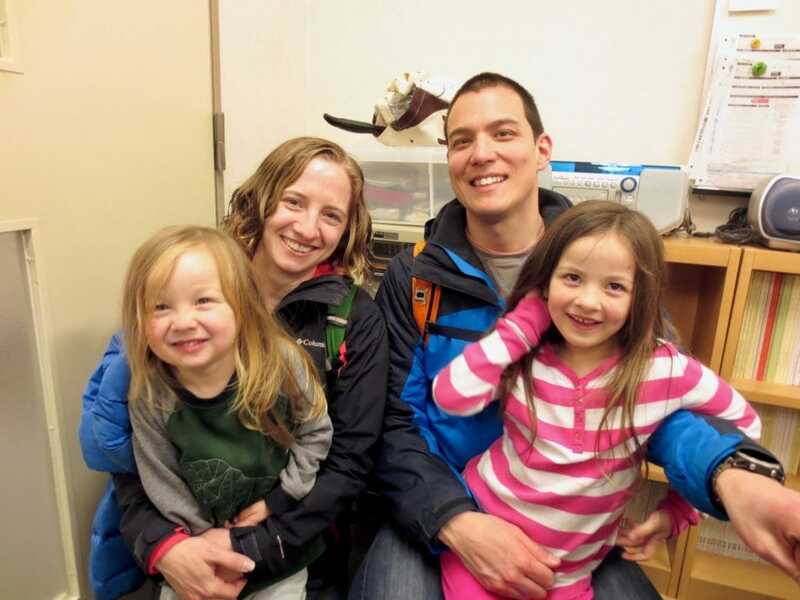 His wife Malyssa (nee Dumbaugh, Pomona College) , whom he met on AKP, and their two children stopped by the office as well! Which is more difficult, being a dad or being a translator? 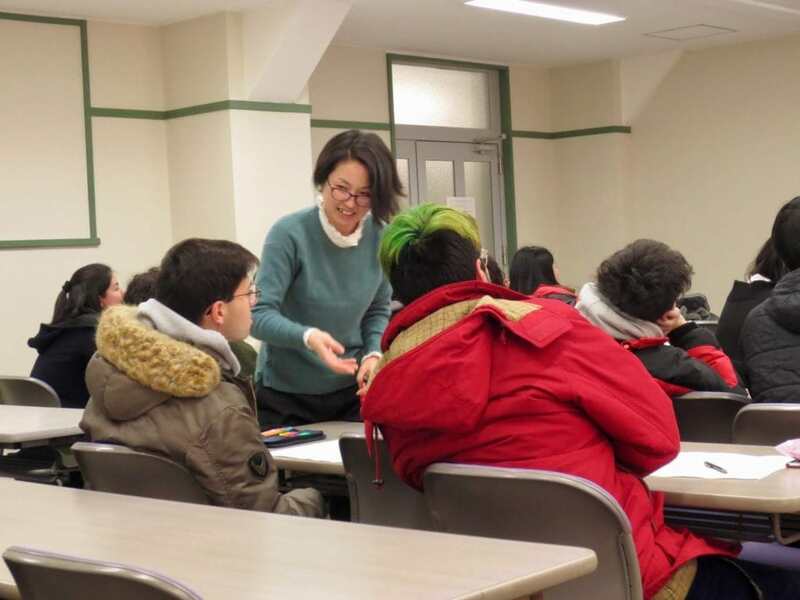 Today was the third Kansaiben lecture of the year (second for the spring students). Students learned the local dialect for place names and practiced asking for directions. 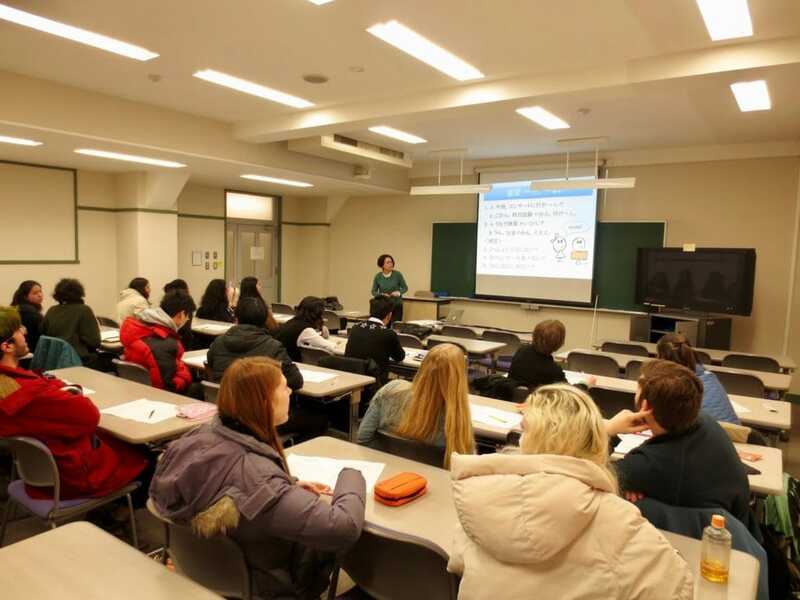 Students, were you able to get where you wanted to go using only Kansaiben? Special thanks for Nishimata-sensei from KCJS for the lecture! 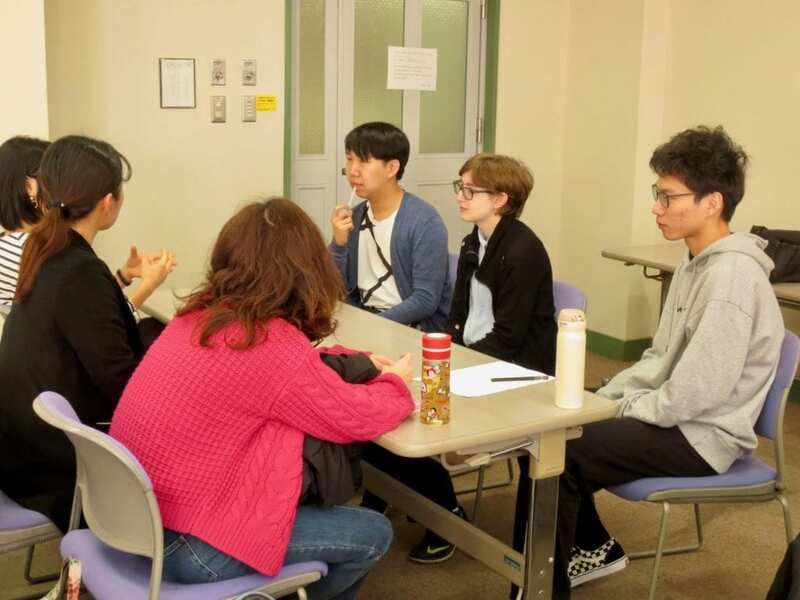 Today in Oyama-sensei’s class, AKPers met with Doshisha students for a class discussion. 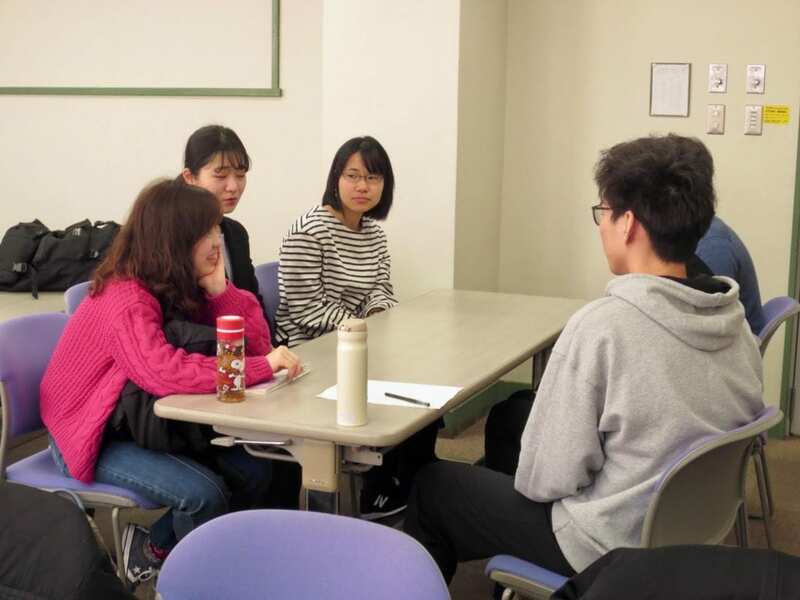 This time, the topic was “Youth and Human Relations,” which students had been studying in class. There is a stereotype that Japanese people are especially conscious of others, but do all young people feel this way? 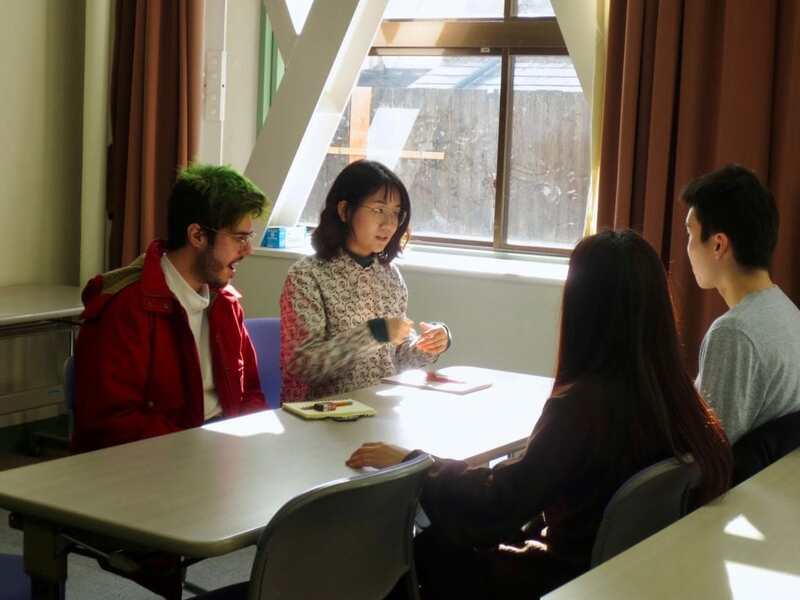 Students had various opinions, which made for a great discussion and Japanese practice! Doshisha students, thank you for coming!